QUICK DEFINITION: Layering is the act of placing multiple visible non-bona fide orders with the intent of creating a false impression of supply or demand, thereby pushing market prices to levels at which the participant can obtain opposite-side executions at more favorable prices than would have otherwise been possible. Layering is one of the most common variants of spoofing. Visible buy or sell orders are entered with the intent to deceive other market participants as to the true amount of supply or demand in the marketplace. 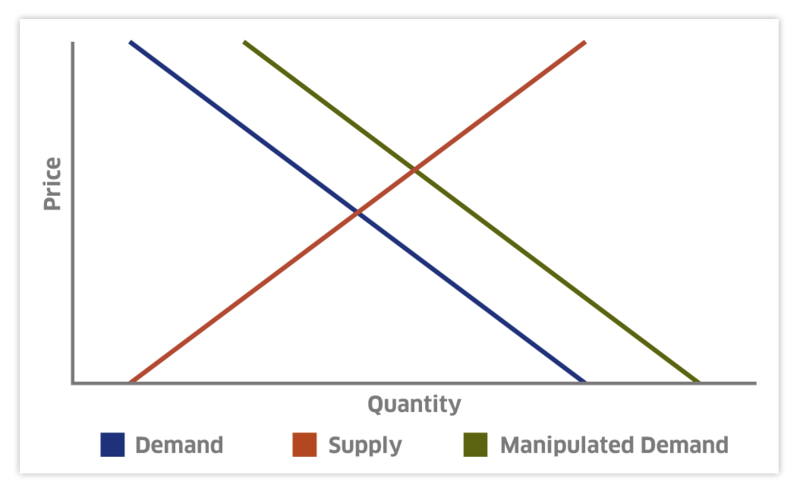 This scheme rests on the basic microeconomic principle that when more buyers appear, prices will go up, and when more sellers appear, prices will go down. Layerers use this principle to control prices to their own advantage, causing fictitious buyers to appear (by entering bids) when they want prices to go up (so they can sell high), and causing fictitious sellers to appear (by entering offers) when they want prices to go down (so they can buy low). A subject user account must be responsible for a significant percentage of the most competitive tiers of the visible market-wide order book on one side of the market. 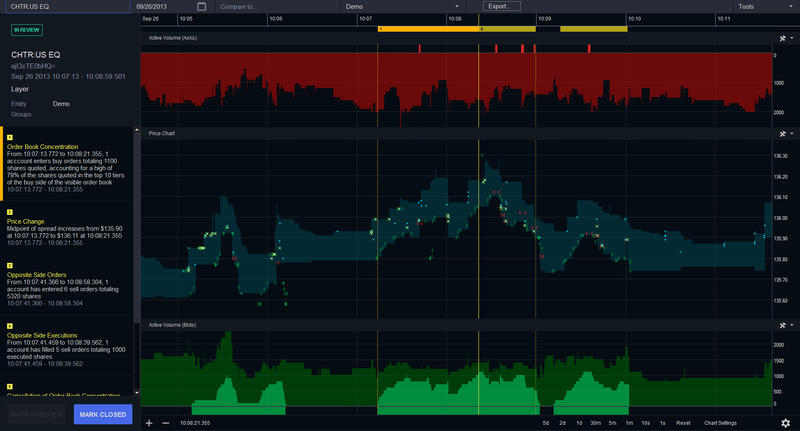 The market-wide price of the instrument must move in a direction correlating to the user account’s order book pressure (up for buy pressure, down for sell pressure), and revert when the user account’s order book pressure ends. The same user account must attempt to capitalize on the above price movement by entering one or more orders on the opposite side of the market for the same, or for an economically correlated, instrument. If you would like to know how to review a layering event in Surveyor, click here. Next, learn more about spoofing.